Shandell was born to be a massage therapist, singer, teacher, writer, poet, dancer, actress and true healer through all the arts. Through mass-age and singing as healing harmonics, she was only three when she began giving foot massage to her mother. Being encouraging through the gift of word, song, acting out the inspiration of spirit while Shandell was learning how to sing from her mother who was performing in a band. Ever since, Shandell has been moved to heal through touch, word, voice, dance and act as she believes deeply in the healing power of touch and the arts. As a healing power that starts with the individual and then moves through them into their life and community as a whole, healed person. Deeply involved in athletics during high school, Shandell began to realize the negative effects of competition upon the body, mind and spirit. Keeping each other at arms length instead of holding and healing as one strength, where all win as a collective healing team. While assisting the high school sports teams as a player with massage, Shandell witnessed the positive effects of massage first hand. Due to her passion, thoughtfulness, and healing touch, she was involved in taking her team to State and was asked her senior year to step in to assist with massage, which took her teams to contend in two more State championship tournaments. The power of healing touch, song, dance, exercise, word can do for all as the whole self and world as a healing team. 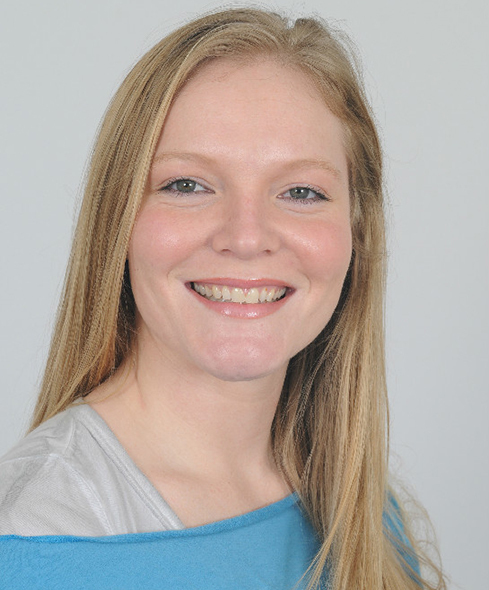 Shandell has been a licensed Massage Professional for over 13 years, 6 in Montana and over 7 years in the Seattle, Puget Sound region where she was licensed and educated. 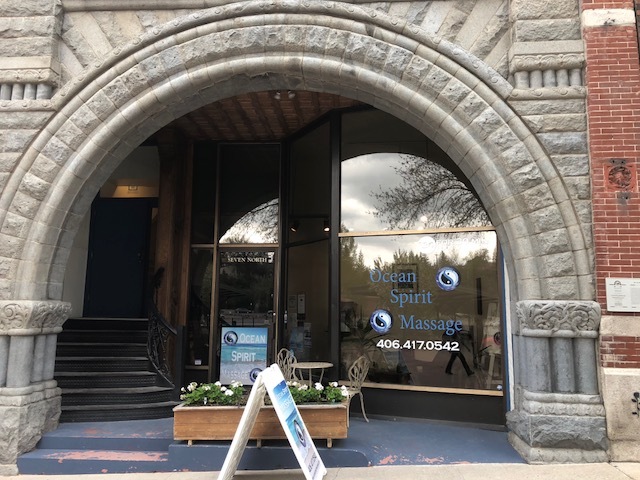 Now has expanded the oceanic healing touch of Ocean Spirit Massage to Montana's Helena region. Offering classes in Qi Gong exercise, meditiation, Reflexology, Aromatherapy, Hot Stone Massage, perfected Injury Treatment with Deep Tissue and Pregnancy Massage training every Sunday with RSVP. Therapists hired by Ocean Spirit Massage are talented and compassionate. They are treated like gold, are compensated the most fair related to their profession and level of expertise and experience. Shandell's team is continuing the healing through touch to one another and to our client's as a continuous school and healing team. Success and wealth come with health from body, mind and spirit in balance. For we are the people and the government who truly do govern our own health, and rely on no other government or corporation to do so as the governing state itself funding a state of being not just mind, but with body and spirit in companionship with and not against as that would be against itself. We are always looking to expand our reach so we will be adding other professions and therapists such as: Dance instructors, Spiritual Teachers, Qi Gong, Yoga, nutritional balance for a healing center and of course massage therapists. Contact us for more details including hiring. "She truly has the gift of touch. I have had many massages and Shandell is among the very best I have ever experienced." "Her energy work and healing is powerful, soothing, and calming." "Without Shandell I would be in chronic pain all week from my heart attack. Her treatments allow my neck to move freely and for me to sleep." "I am always excited to schedule my next appointment. It is something I look forward to all week." "Shandell is a true healer." "Just after my encounter with Ocean Spirit Massage it was announced that I made it to Nationals for my Carroll college track team." 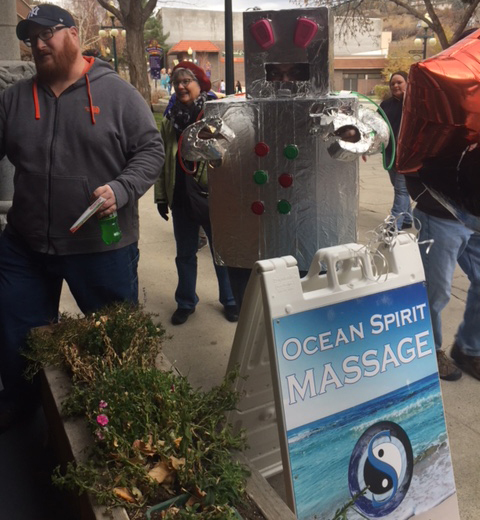 "Ocean Spirit Massage truly cares for their clients, from their touch to classes, ceremony and concerts all contain the goal of spirit and soul being heard and felt"
© 2018, Ocean Spirit Massage. All Rights Reserved.